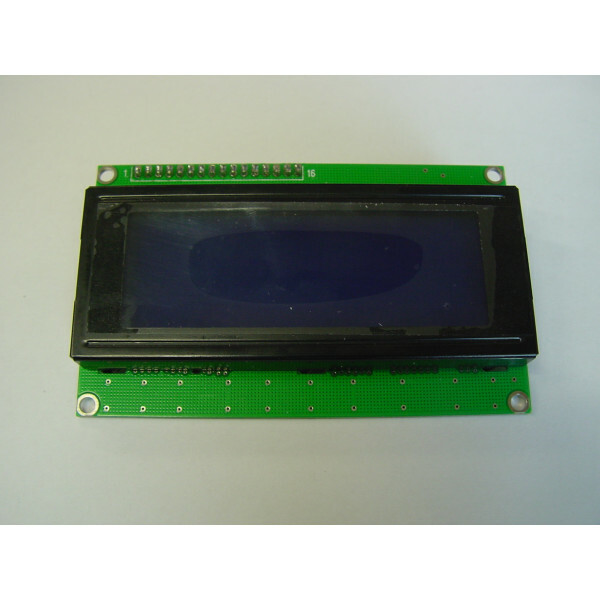 A 20x4 LCD module with the I2C or SPI interface board attached. 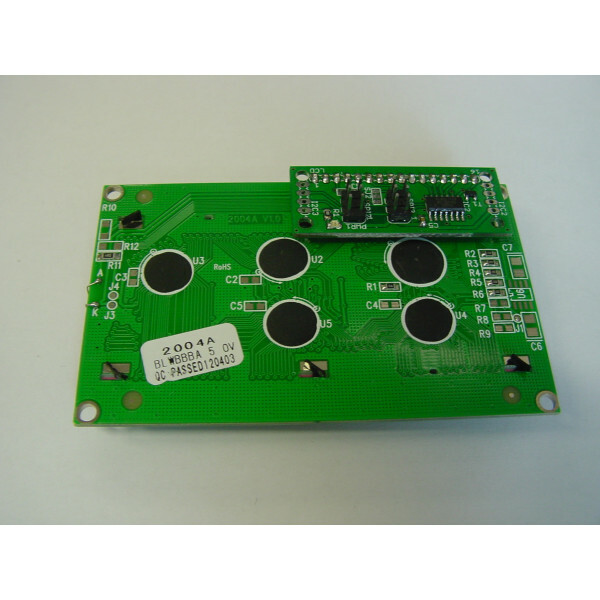 This allows you to control the display easily over said bus protocols. 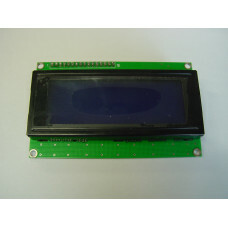 The display needs 5V to work.